Are you that busy executive in your late 30's whose typical day starts at 8-00 am and progresses with harried meetings, unrealistic deadlines and hurried lunch? Join the club of ever increasing people trying their best to ruin a perfect life that has been going on smoothly without any health issues. Most of these people resort to excessive smoking believing that it helps beat the pressure. However, that is definitely not the case. A typical executive like the one described above, gets a nagging heartburn that he tends to douse with a gulp of antacid. The changes in the bowel movement and persistent constipation were flushed away with laxatives. However these temporary measures only compounded the issue. One fine day after a quick meal that was washed down with a glass of water, there was this sensation of some food particles still sticking to the insides of the throat. When the discomfort persisted, a visit to the physician became mandatory. Detailed examination came up with a shocker. The esophagus or the food pipe had narrowed considerably due to chronic acid reflux. Studies have revealed that as a consequence of hectic lifestyles and erratic food habits combined with a restless mind, have led to steep increase in the incidence of acidity, sometimes leading to esophageal and gastric cancers. The study further states that there is an increased risk of diabetes and heart disease. A study made by a laryngopharyngeal reflux expert revealed that consumption of processed and bottled food that are particularly acidic because of federal stipulations requiring high acidity as a preservative is the primary cause for this staggering increase in esophageal disorders. However, while acidity itself may appear to be innocuous, it is the culprit that is responsible for triggering more serious conditions. Acidity can manifest itself in two different ways: firstly with a burning sensation below the chest and secondly the same sensation in the upper stomach area. 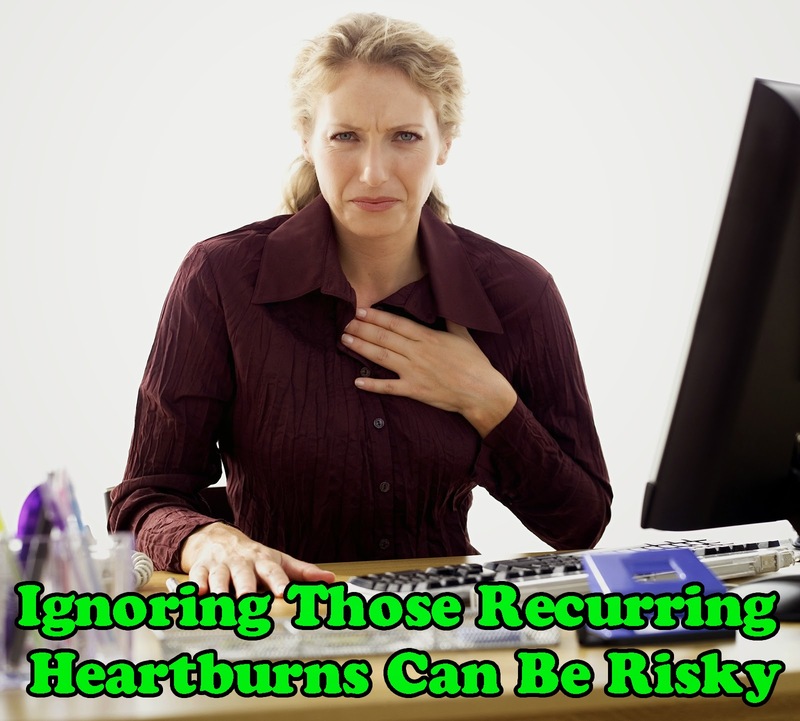 Whenever there is a reflux the acid that is meant to remain in the stomach is forced up the esophagus resulting in 'heartburn'. When this reflux becomes a regular affair, the inner walls of the esophagus start getting eroded and ulcers are formed. These ulcers remain undetected and get aggravated each time food passes through the food pipe. When spicy food and alcohol are passed down the aggravation is high and the resultant heartburn can be very discomforting. If left unnoticed and untreated, this could lead to cancer. The incidence of cancer in the lower part of the food pipe where it joins the stomach, have been increasing steadily. The damage done to the food pipe because of acidity is not surprising. The acid itself is hydrochloric acid, an important component in the digestive juices, with the primary function of breaking down complex food to aid in digestion. The stomach itself is well protected with a lining and is quite safe from the harmful effects of this acid that is present. The effect of hydrochloric acid on skin can result in severe burns, so one can imagine the extent of damage that it can cause on the tender inner walls of the food pipe. The direct effect of tension and pressure are devastating. When a person is under tremendous pressure then there is more secretion of acids in the stomach. Not every person has antacid tablets or liquid handy to take at that time. The ideal solution would be to cultivate a habit of having a well balanced diet consisting of food low in fats, and instead of having elaborate multi course meals, it is better to eat smaller quantities at shorter intervals. Staying away from high-fat meats, dairy products, caffeine, chocolate, carbonated beverages, fried food and abstaining from smoking would go a long way to arrest and reverse the damage. Approaching an issue calmly and practicing meditation should keep restlessness at bay.